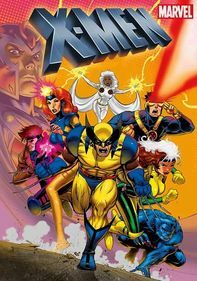 Executive-produced by Steven Spielberg, this hand-drawn series -- which charts the adventures of a teenage computer geek who can transform into the superhero Freakazoid -- picked up a pair of Daytime Emmys for its opening theme and animation. 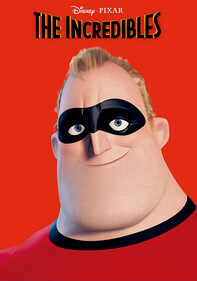 High school computer geek Dexter Douglas's life changes drastically when a computer crash pulls him into his PC and turns him into awesome superhero Freakazoid, in this Daytime Emmy-winning animated series, executive produced by Steven Spielberg. 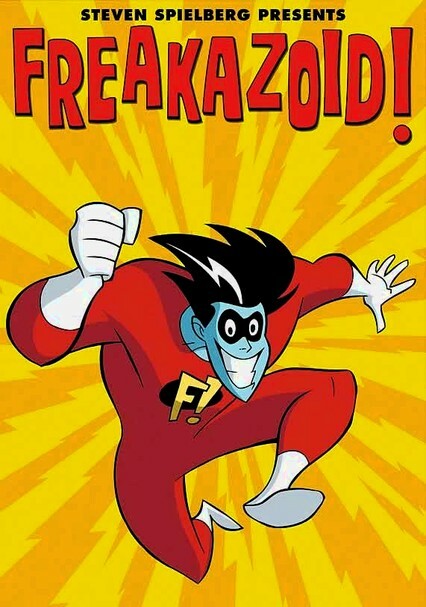 Possessing all the information that exists on the Internet and operating out of his gadget-filled Freakalair, Freakazoid battles evil villains, including Cave Guy, the Lobe and the Cobra Queen. 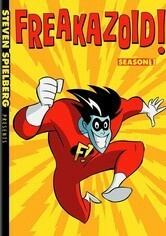 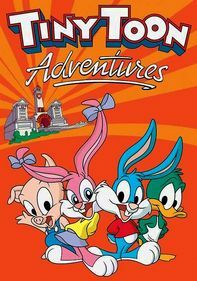 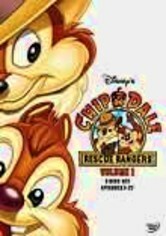 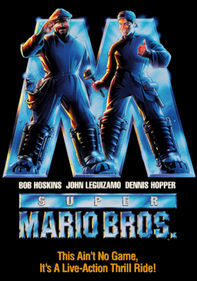 The second season of this wacky animated series (executive-produced by Steven Spielberg) continues to follow fearless Freakazoid as he walks the fine line between being a superhero and computer geek Dexter Douglas. 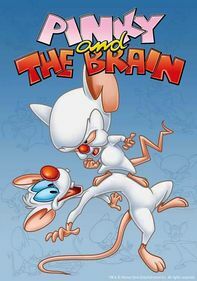 As the action unfolds, Dexter finally has a chance with Steph, who agrees to go out on a date with him -- but interference from the Lobe could ruin everything. 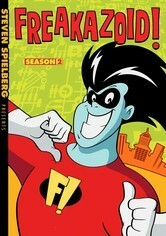 Later, Guitierrez returns with a scheme to destroy Freakazoid's reputation.